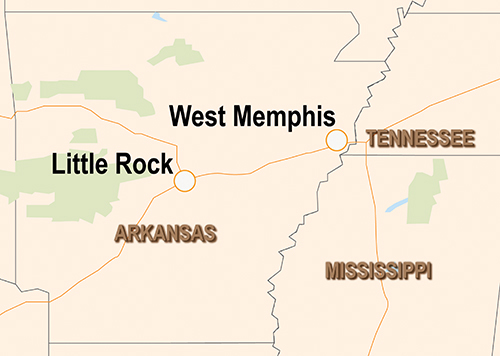 Several years ago, in the city of West Memphis in eastern Arkansas, violent street gangs involved in drug trafficking and other crimes threatened the safety and security of the people who lived and worked in the area. One of the most significant gangs was headed by drug kingpin Rafael McDaniel. 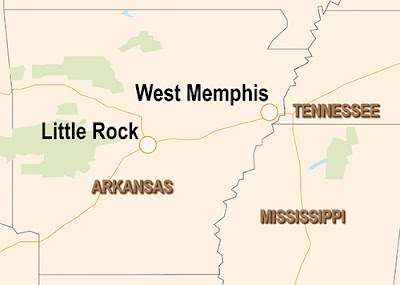 After a request for federal assistance from the West Memphis Police Department to help address the drug trafficking activity and its accompanying violence, the FBI initiated Operation Delta Crossroads as an Organized Crime Drug Enforcement Task Force (OCDETF) case. And as a result of the investigation—which involved multiple controlled drug buys and several Title III wiretaps that recorded hundreds incriminating conversations—McDaniel was convicted of drug and firearms offenses last year and subsequently sentenced to a 20-year prison term. Several of his co-conspirators were also charged, pled guilty, and sentenced. The OCDETF program, established in 1982, is the centerpiece of the Department of Justice’s drug strategy to reduce the availability of drugs by identifying, disrupting, and dismantling major drug trafficking organizations and related criminal enterprises. OCDETF investigations succeed because they leverage the strengths, resources, and expertise of federal, state, and local investigators and prosecutors. During the investigation into McDaniel’s gang, agents from our Little Rock Field Office worked side-by-side with several narcotics detectives from the West Memphis Police Department. With the assistance of the Arkansas State Police—and in coordination with the U.S. Attorney’s Office for the Eastern District of Arkansas—investigators identified and gathered evidence on McDaniel’s West Memphis-based drug trafficking organization, which was believed to be responsible for the distribution of large quantities of cocaine and crack cocaine in Crittenden County and other areas of eastern Arkansas. We knew that McDaniel had two lieutenants—Wendell Glenn and David Green—who helped him run the operation. We knew that the organization regularly obtained multi-ounce quantities of cocaine from suppliers. We knew that McDaniel, Glenn, Green, and others actually converted the cocaine into crack cocaine before giving it to other organization members responsible for the sale of the drugs. And we knew that members of the criminal enterprise, including McDaniel, possessed and used firearms for the purpose of protecting their drugs and drug proceeds and to intimidate and deter rival drug dealers. A July 2014 superseding indictment charged McDaniel, Glenn, Green, and 15 other conspirators with various drug trafficking and firearms offenses. Sixteen defendants, including Glenn and Green, eventually entered guilty pleas and were sentenced in the face of such overwhelming evidence (charges against a 17th defendant were combined with another federal indictment). But McDaniel, perhaps thinking he was smart enough to beat the system, took a chance on a trial—and lost. Law enforcement collaboration in eastern Arkansas is nothing new—in February 2015, the leader of another drug trafficking organization was sentenced to life in prison after the successful conclusion of another OCDETF case, Operation Delta Blues, which targeted public corruption, drug trafficking, and unlawful firearms. And in August 2015, 70 defendants were charged with drug and gun offenses in 40 separate indictments as part of an OCDETF case known as Operation Blynd Justus. And today, communities in eastern Arkansas are enjoying dramatic decreases in violent crimes being committed on their streets as a result of these kinds of law enforcement collaborations.